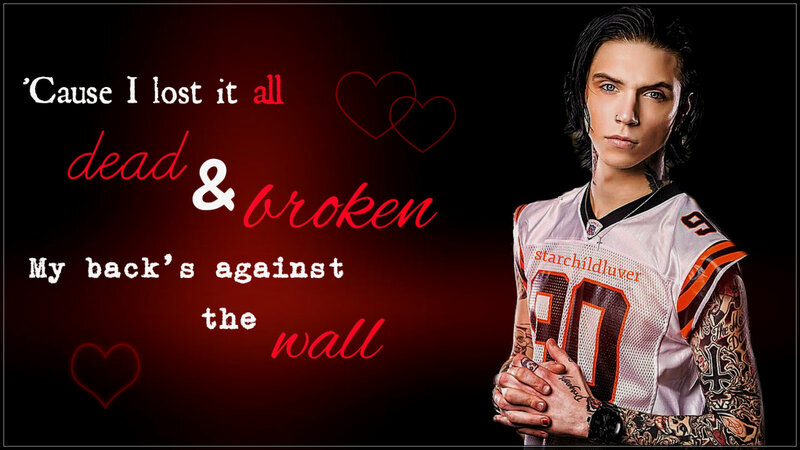 Andy ~Lost it All. . HD Wallpaper and background images in the Andy Sixx club tagged: photo andy biersack bvb black veil brides lost it all lyrics. This Andy Sixx wallpaper contains zeichen, plakat, text, tafel, schilder, and poster.